There’s something special about Melbourne’s inner north. The ambience of cafes and bars that spill out on to the street, the sound of trams rumbling by and the smell of coffee around every corner. Speaking of northside, let’s get acquainted with Collingwood: the blue-collar-turned-trendy inner city suburb touting heritage-listed architecture, converted warehouse apartments and of course culture by the bucketload. Home to fixed-gear bikes, a myriad of coffee roasters and the first brewery for 100 years, (I’ll talk about this later) Collingwood is all about injecting new life into the old and making it beautiful again. Collingwood (in my humble opinion) is an ideal corner of the world to have a wedding – the shoots I’ve done there are stunning to say the least. 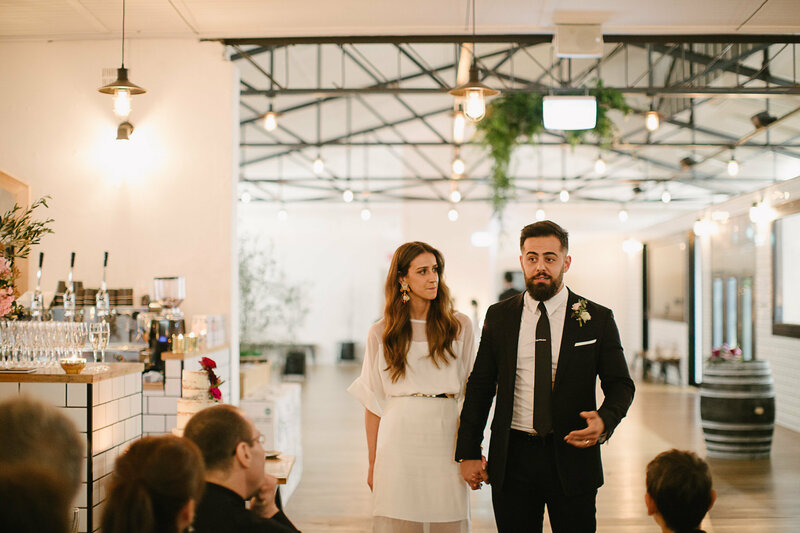 Read on and see why this bustling inner northern suburb of Melbourne is a front-runner in the wedding circuit. I’ll be straight up, I had my wedding here and bias aside, it’s a top choice. Rupert on Rupert lays hidden on (you guessed it) Rupert Street, Collingwood. 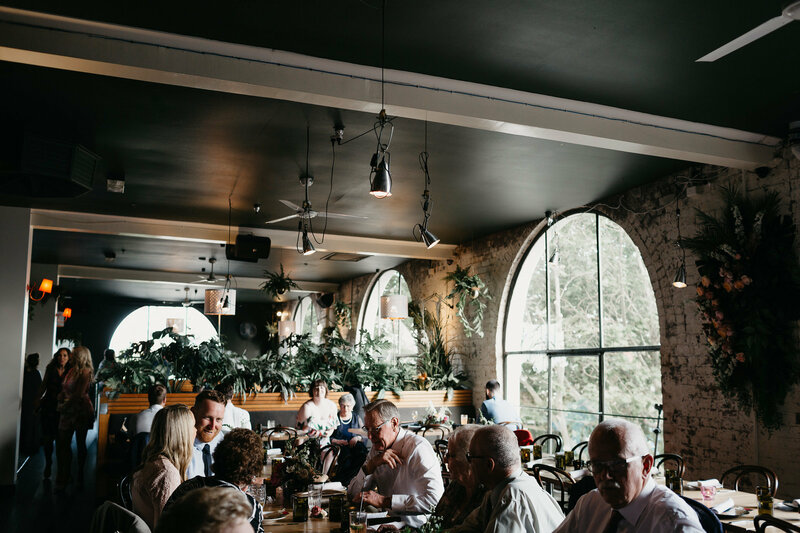 It’s spacious yet cozy and encompasses much that is Collingwood; ample indoor greenery, quirky vintage furniture, polished concrete floors, exposed beams and so many Edison bulbs that you can feel the glow from the footpath. 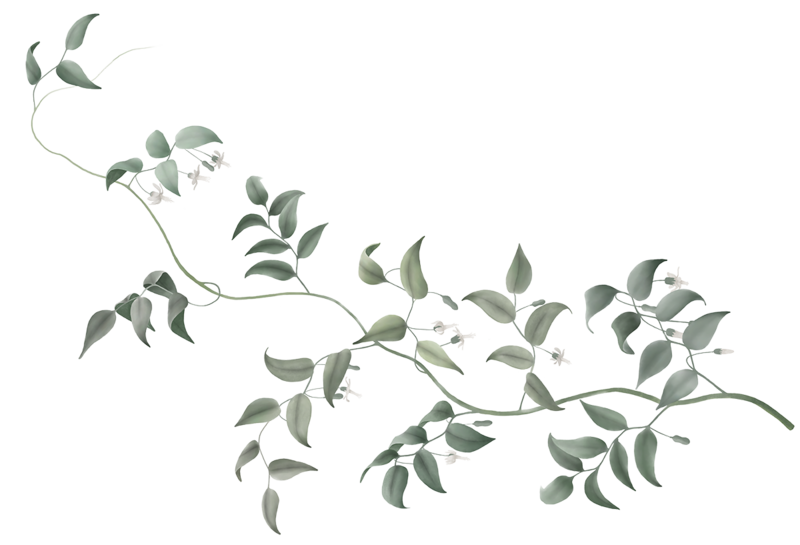 Thinking of getting married in winter? Then do it here. There’s a glass-encased fireplace in the middle of the Main Dining Hall. Need I say more? 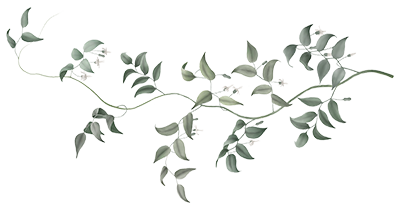 With capacity for 80-200 guests, Rupert on Rupert was made for memorable gatherings. If you want proof, go grab a drink and dinner there and you’ll see what I see. 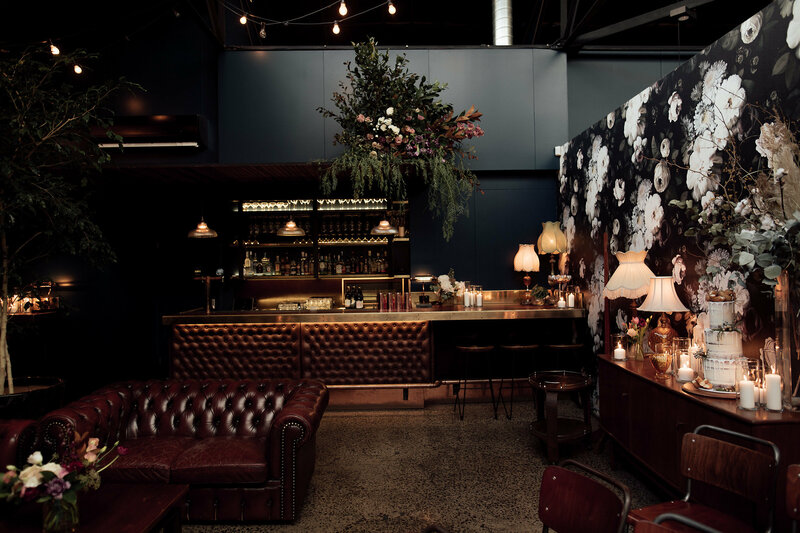 Located at the Alexandra Parade end of Smith Street is The Craft & Co, a more-than-meets-the-eye two-floor warehouse. This venue is home to a café, restaurant, bar, bakery and coffee roaster along with a brewery, distillery, bottle shop and deli. If that isn’t enough to lure you through the doors, they also have rooms dedicated to making delicacies like cheese and charcuterie. With this much space you are spoilt for choice; an array of areas accommodating parties as small as 20 and up to 250. The food is local, it’s Aussie and delectable to say the least. Want something different to make your special day even more fun? Why not try out one of their super cool activities like a one-hour session with a gin distiller, a pasta class or even salami-making workshop! They can even supply you with miniature bottles of house distilled gin ($11 each) for your guests to take home as a memento of your special day. Yes you’ll have to traipse up the two flights of stairs, but I promise you it’s worth it. Hidden behind a brick façade and completely unassuming from street level, is Panama Dining Room. A quarter-of-an-acre sized space that immediately impresses upon entry. With booths and lounges to add intimacy and a pool table to keep the big kids happy, Panama Dining Room is one of those places you talk about long after you leave. The reclaimed hardwood floors and exposed brick provide a warehouse feel with a sense of style. 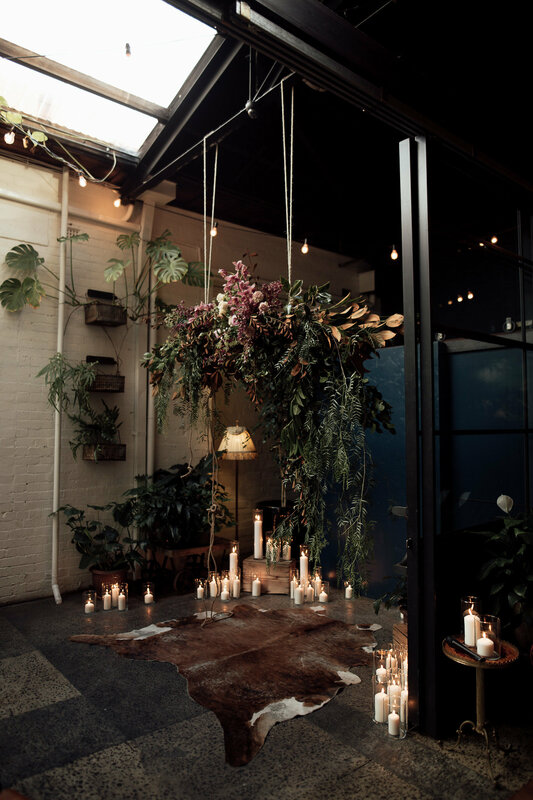 Floor to ceiling arched windows offer a stunning backdrop for both your ceremony and photographs alike with a view of the Dandenongs that sweeps across to showcase the glittering city lights of Melbourne. 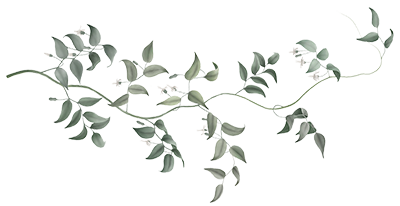 The well thought out menu has a distinct Australian influence with ingredients including macadamias, verjuice and saltbush to name a few. Panama’s (Award-winning) Chef Ayhan Erkoc has worked for the likes of Pier and Marquee in Sydney, not to mention the infamous Noma. With this experience under his belt, you’re in good hands. This lush venue accommodates 160 seated and 200+ standing while still allowing enough room for a dance floor and band. Collingwood Children’s Farm is a 7-hectare country oasis located in Abbotsford (yes, not exactly Collingwood but well worth a mention). Being so close to the CBD, you’ll have the opportunity to experience the best of both worlds when it comes to your photos: open verdant pasture and the bustle of Melbourne’s city streets. In my experience, having such dichotomy in backdrop makes for a beautiful wedding album. 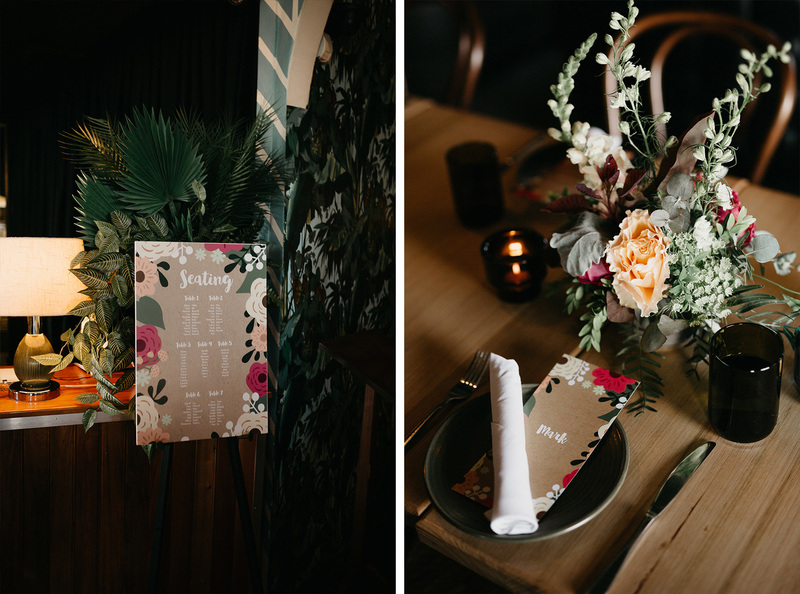 After your serene ceremony under a 100-year-old oak tree or out in the sprawling paddock you can then choose from three spaces for your reception: a century old barn accommodating 100 seated or 150 standing, a marquee on the paddock for parties of 150 or more, or for smaller groups, the Farm Café provides the perfect intimate space. 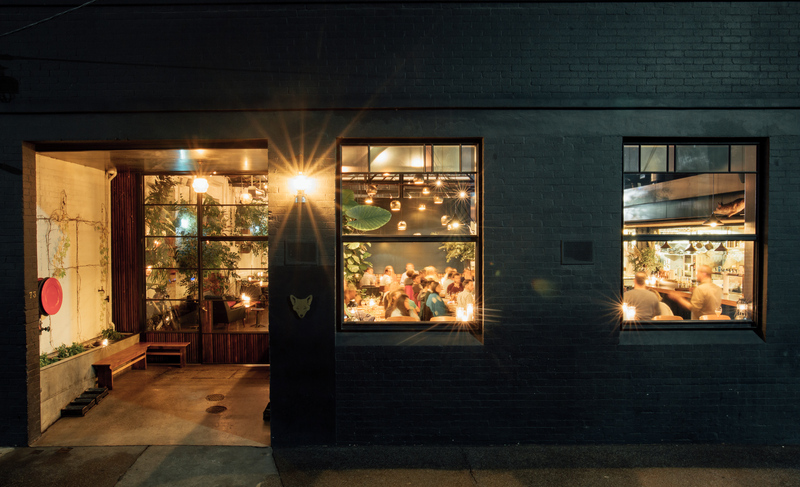 The first brewery in Collingwood for 100 years, Stomping Ground is a beer hall (that is true) however, it’s the family feel you get when you’re there that makes it special. Perfect anytime of year but especially in winter, this brewery is a super cool choice for a wedding that’s a little left of centre. From one-off beers to a whole beer series, Stomping Ground brews over 60 beers annually, so it’s safe to say; grain, hops and yeast runs in their blood as well as their brew kettle. At Stomping Ground, beer is not just reserved for pots, pints and schooners – the kitchen has unashamedly infused the amber liquid and its ingredient throughout many of their dishes. From canapés and spreads on boards to feasting share plate style, the menu showcases quality produce that is nothing short of delicious. With various spaces available, this venue can accommodate for up to 250 guests. 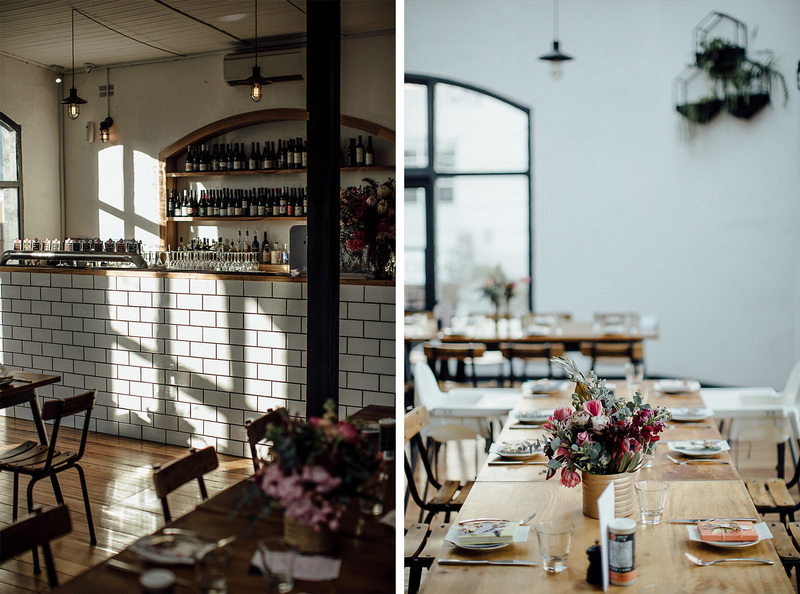 So, if northside is your thing (and truthfully, even if it’s not) you would be remiss to pass up a look at these Collingwood venues that will totally bring the swank to your wedding. Check the links to each venue’s website for further information. You can thank me later! Are you a Collingwood local or have experienced any of these venues? Let me know below, I love hearing your stories and comments.